02 MarHow can real-time engagement benefit the airline industry? The airline industry has evolved to become highly competitive. With new airlines entering the market and existing airlines expanding their services, the aviation industry is bound to face more aggressive competition. While every airline tries to establish their dominance, several key factors are responsible to gain the desired success. Amongst these key factors is reliability which can be earned by providing better services to customers. Customers are the lifeblood of airline industry as for any other business. Although customer loyalty lacks a bit in airline industry, customers can be retained by delivering value and through effective engagement. The arrival of internet and e-commerce paved way to online booking and rise in e-tickets. But this advent increased the responsibilities of customer service team. Many times non tech-savvy customers find it difficult to book tickets online and need guidance. This is where customer service team comes into picture. However, solving customer queries or issues over a call can prove to be a tedious task. In case the query goes unanswered, there is a possibility of the customer switching to other airline company. To avoid this , airline companies should empower their customer service team with the use of real-time engagement tools. Co-browsing, live video chats, online document sharing, screen-sharing, etc. can prove to be effective solutions to help customers, raise customer engagement and retain them while earning their loyalty towards company. Booking online tickets and cancellation – For some customers, booking tickets online can prove to be overwhelming at times. They would then look for instant customer support that would efficiently help them overcome the issue. In such cases, customer support executives can use co-browsing software to browse the website along with customer. Using this tool, customer executives can guide customers and provide them the required information. Similarly, under certain circumstances, customers may want to cancel their booked tickets. They may have queries about reimbursement or compensation and possibly require support. Customer support representatives, in such instances can communicate one-on-one with customers through live video chat to address the problem at hands. 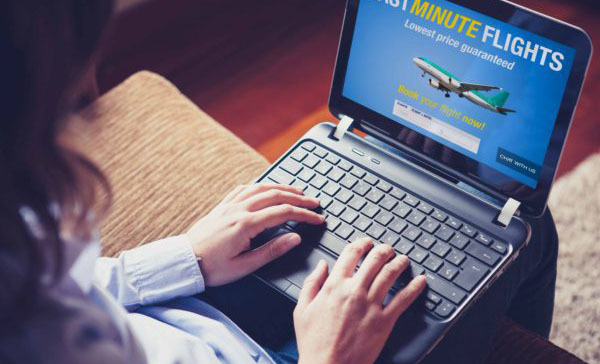 Communicating offers and flight information – With competition emerging every other minute, airline companies are compelled to come up with different offers to attract customers. These offers can be effectively conveyed to customers through interactive content sharing. Through this application, customer support team can bestow personal attention on customers making them feel important. Customers are always highly sensitive to changing fares and timings of the flights. Support agents can provide particular flight information to customers well in advance through real-time tools. Customer executives can share documents, multi-segment itineraries, in-flight images, videos with customers to impart further info. By using real-time tools, airline companies can reach global citizens and interact with them on one-on-one basis. It will help establish stronger relationship with customers while developing trust about the company in them. Real-time engagement can assist customer support team in multiple ways while delivering value to customers.